NECK PAIN is a very common problems associate with muscles.The neck muscles are under constant strain especially in desk jobs where people need to sit in the same position for long hours focusing on computer screen.The other cause for neck pain could be a lousy posture,where the spine gets bent.This puts strain on the neck muscles.When studying for long hours at a stretch with inadequate back support and a bent neck is another disastrous habit.Weakened muscles of the lower back is the cause of neck pain.To avoid neck pain,it is crucial to STRENGTHEN THE LOWER BACK muscles and then target the neck muscles.Sometimes sleeping position plays a role for neck pain.If the sleeping position is wrong by a high pillow which is a dominant factor responsible for neck pain,sleeping on stomach is a killer.The ideal way of sleep is on back or on one side of the body. SHOULDER BLADE CONTRACTION :- These are tissues which contract and relax based on the activity of the body.It allows to ease the pain of the blades by involving the blades in active exercises.It will help to improve the flexibility of the shoulder. MANUAL CERVICAL TRACTION :- To perform this exercise requires two people as partners.It is done to ease the pressure on the nerve which are under constant strain.One person laying down flat,other must keep his/her hand under the neck of the person lying down and the other hand on the chin.The grip of the person giving the traction must be good.It should be repeated after every one minute.It provides instant relief from neck pain. SHOULDER SHRUGS :- This is an exercise which involves weight training which is most commonly done in order to strengthen the upper trapezius muscles.The shrugs strengthen the already weakened muscles and prevent it from worsening. NECK HYPER EXTENSION :- To perform it extend the neck backwards and introduce hyper extension with pressure.It helps in effective spine positioning and proper balance. UPPER BENT OVER ROW :- Here are 3 steps, no-1,bend forward at the hips until trunk is at approximately 60 degrees flexion,while maintaining a flat back and extend arms fully. 2. Pull the shoulder blades back and together. 3. Lift the bar pulling elbows towards the ceiling,while keeping them fairly close to body.It helps in strengthening the back and thus relieves the pressure on the neck. Breathing the correct way has innumerable health benefits.TRY 4-7-8 BREATHING TECHNIQUE TO RELIEVE STRESS.It prevents from catching diseases,improves posture and reduces inflammation in the body.Deep breathing helps in more ways to good health. 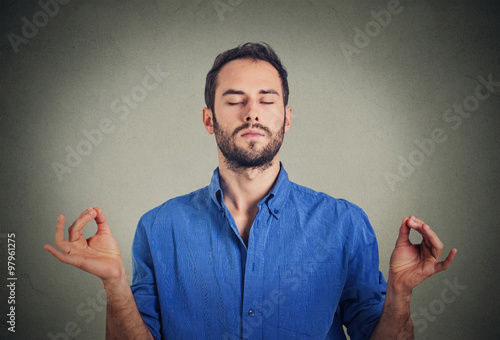 According to study,deep breathing is one of the best ways to lower stress and anxiety levels.That is why when you breath deeply,it sends a message to your brain to calm down and relax.Deep breathing makes your body feel like it is already relaxed. [A] Deep breathing makes you look younger by improving skin. [B] It increases energy level. [C] Deep breathing improves mental state. [D] Deep breathing improves the respiratory system. [E] Deep breathing improves the cardiovascular system. [F] Deep breathing calms down nervous system. [G] Deep breathing reduces muscle tension. [H] It strengthens the lymphatic system. There are safe and natural ways to get a Slimmer nose through simple exercises not about 20-30 minutes of cardio at gym,but rather various nose-shaping exercises that can do at home to gradually alter the appearance of standout feature. 1. SHORTEN :- To do this exercise grasp the bridge of nose by thumb and index finger.Use the other index finger to push the tip of the nose upwards.Then pull upper lip down and release to exert pressure downwards against index finger.Do this 10 times and then relax. 2. SLIM DOWN :- To perform it make an 'O' shape with mouth and using index fingers,gently push nostrils halfway so that you can still breathe through nose.Look up at the ceiling and breathe out through your nose while flaring your nostrils.To see best results repeat it multiple times in a day. 3. SHARPEN :- In this exercise you should have to smile and push the tip of your nose upwards with your index finger.This exercise helps to build the muscles that are on the sides of your nose.To see the best results you may perform this exercise 20-30 times in a day. High BP?Here is the way to manage Hypertension by eating Flaxseeds Daily.It is known as to keep blood glucose and cholesterol levels in check,moreover it is also known for its weight loss boosting ingredient.It keeps the heart healthy.Eating Flaxseeds along with a healthy diet helped lower both diastolic and systolic pressure in participants. These are high in potassium,100 grams of flaxseeds contain 813 mg of potassium,which helps negate the ill-effects of sodium.Excess sodium disturbs the water balance and exerts pressure on blood vessels which can shoot up blood pressure levels.Potassium acts as a vasodilator and eliminates extra sodium through urine.Flaxseeds are enriched with omega-3 fatty acids and fiber which is crucial to support heart health.Fiber helps protect the layer of cells lining the blood vessels,which helps keep blood pressure levels in check. Flaxseeds contain alpha-linolenic acid and lignans which are beneficial in making sure blood pressure does not surge up.Lignans are helpful in improving digestive health,lower blood pressure,diabetes risk and bad cholesterol. Where to get Flaxseeds ? Flaxseeds are available in departmental store.But it is not advisable to consume too many of them raw,since these can generate a lot of heat and also their outer shell can contain toxins.If you buy whole flaxseeds,grind as needed and add to oatmeal,yogurt,smoothies,cereal,backed goods and casseroles.Sprouting flaxseeds releases more of their protein and omega-3 fats. WEIGHT LOSS ;- Flaxseeds the super food is renowned for its weight-loss boosting properties.Regular consume of this super food with healthy diet may loose the extra pounds.Those who are fighting for loss weight these are the natural ingredients to use their daily routine. Running is the great way to stay in shape,pounding the pavement,treadmill provides tip-top healthy heart including many bodily benefits. According to study of cardiology that people who ran just only 30-60 minutes a week just a few minutes each day decreased the risk of cardiovascular death by 58% when compared to those who do not run at all.So there is no need to go out to run 30 miles a week in order to to help your heart.Whenever a seemingly fit runner has a cardiac event while running,it makes the news and strokes rumors that running is to blame.The fear of damaging a healthy heart or finding out too late about a previously undiscovered heart condition,can be enough to make a would be runner shy away from the sport,but what are the real odds of experiencing cardiac trouble while running. While there is EVIDENCE TO SUGGEST that your likelihood of having a sudden cardiac arrest is higher while running,the overall likelihood of this happening is very small.Still make sure to pay attention to your body while running.If you feel shortness of breath or chest pain make sure to stop running and consult with doctor. The exercises make the muscles stronger.When we exert,little tears from in our muscles and are then repaired during periods of rest with muscles coming back stronger than before,because your heart is a muscle,the same rule applies.Just like your other muscles,heart needs time to recover.According to experts,they recommend alternating hard runs with easier workouts in order to grow stronger,but heed this warning : without that rest EXCESSIVE ENDURANCE EXERCISE CAN ACTUALLY DAMAGE THE HEART.